James D. Brodzinski, Ph.D., dean of the College of Business at Valparaiso University, has been selected for a three-year term on the AACSB Continuous Improvement Review Committee. The Continuous Improvement Review Committee (CIRC) oversees processes for continuation of business accreditation to ensure consistency of standards application and equity of recommendations across teams and across programs reviewed. Dean Brodzinski joined Valparaiso University as dean of the College of Business in 2012. He is responsible for the strategic leadership, coordination, and guidance of the College. Valpo’s College of Business is among the elite 5 percent of business schools accredited by AACSB International, the foremost business accreditation body. The Association to Advance Collegiate Schools of Business (AACSB) consistently affirms the college’s commitment to high-quality learning outcomes and innovative curricula. The College of Business recently launched a major and a minor in supply chain and logistics management. The degree will prepare business leaders to manage complex operations across myriad industries, from technology and manufacturing to consultancy and retail. 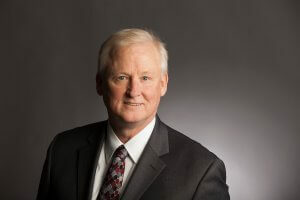 Dean Brodzinski is the author of numerous publications and papers and the recipient of significant grants including several from the National Institute for Occupational Safety and Health. He has served as a consultant to a wide range of corporations related to organizational development issues. He teaches classes in management, research methods, and information systems for both undergraduate and graduate students. Dean Brodzinski holds a Ph.D. in human information systems, a master’s degree in organizational communication, and a bachelor of fine arts in photography, all from Ohio University.